Moisture Repair Shampoo is for hair that has been weakened or damaged by color, chemical processing or heat styling. They restore hair by bathing it in a highly concentrated formula rich in antioxidant argan oil, reconstructive keratin and fatty acids. Both products restore elasticity, moisture and manageability. The formula is free of sulfates, phosphates and parabens, so it's safer for the environment and won’t dry, fade or strip color-treated hair. 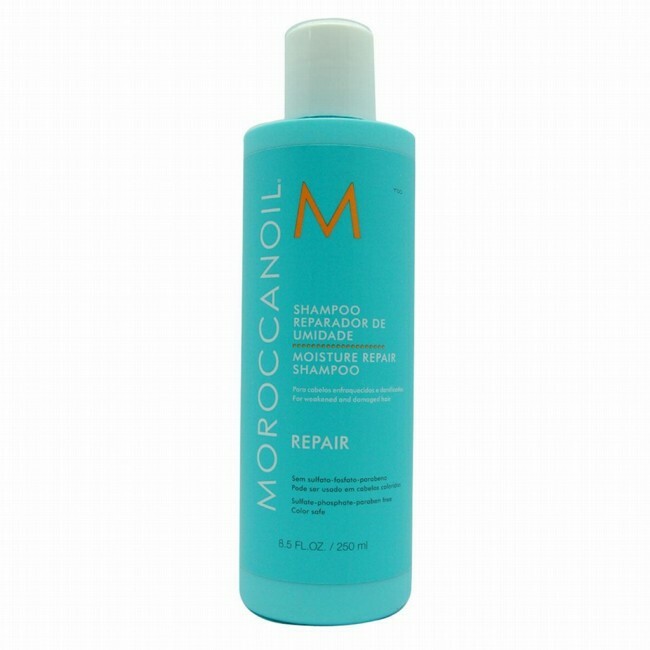 Because Moisture Repair Shampoo uses a highly concentrated, water-loving formula, begin by using plenty of water to activate the shampoo into a rich, luxurious lather. Add more water if necessary. Massage through hair and scalp. Rinse and follow with Moisture Repair Conditioner.